Great food and excellent service. We'll be back! Beautiful venue; lovely meal; friendly and efficient service. The restaurant is beautiful with a great location. However, it is under-staffed, the service was the slowest that I had ever experienced, and the food was average. One to two more wait staff were needed. The manager was running around like a crazy man because there were not enough staff. The food took forever to come out -- and two times we ordered something that never arrived and had to ask for it again. All in all, the lunch took an astounding 2.5 hours when we expected it to take 1 hour. The restaurant loses money when it moves so slowly, and the guests are upset because the day's tour schedule is ruined; but what are we, as guests, supposed to do? Go to another place and start over? ... Otherwise, the appetizers were good. The prosecco was 5 or 6 euros for a very small glass, which made us feel that the owners were cheap on it. And the chef needed to use more salt and the fish was overcooked; it needed 1-2 fewer minutes. Our first return for 42 years. Although the place is as charming and our reception very nice (with complimentary Prosecco) I am afraid the food was not up to expectation and certainly not the value for money Tripadvisor. Fantastic Food and Service. Definitely one of the best restaurants on the island. Beautiful place to visit and we were made to feel very special. 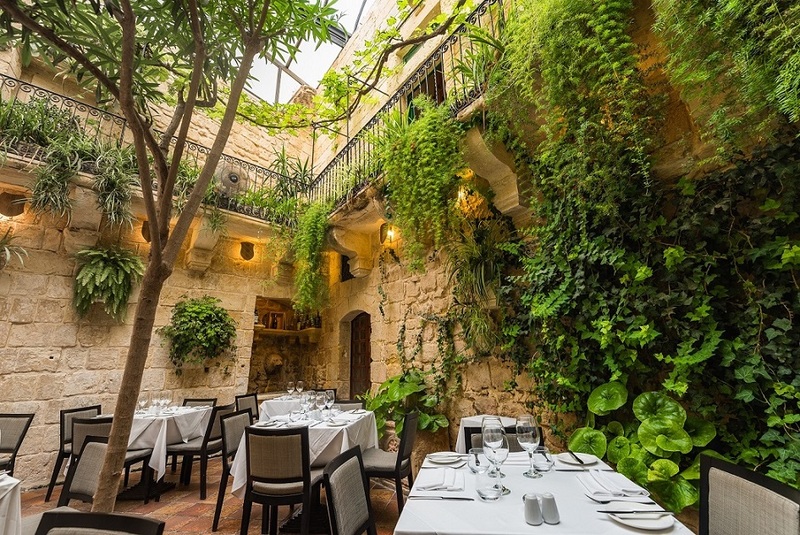 We were warmly welcomed into the covered courtyard of this old Norman house by our waitress. It was very peacefull inside on what was a sunny Winters afternoon. The service was excellent and the food superb and I’m sure it won’t be long before we return. Purtroppo non ha soddisfatto le aspettative, sia per quanto riguarda il servizio che la cucina. Bella unicamente l’atmosfera. Très belle salle (cour de vieille maison recouverte d’une verrière. Bons espaces. Service agréable. Le ribeye n’était pas « rare » comme je l’avais demandé. Mais la viande était de bonne qualité. We had a fantastic night at Medina. Restaurant was full but service was still excellent. Amazing experience! Will definitely return! Great service and staff! Excellent food, lovely ambience and friendly and helpful staff. Delicious food, perfect service, wonderful staff and amazing atmosphere! A perfect evening to a lovely day. Thank you for the awesome experience we will certainly visit the place again! Indoor dining area empty and cold. Fillet steak dry and tough. Shame used to be one of the best on the island!! Incredible main course and service, definitely coming again. 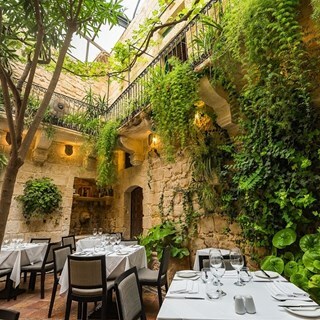 The service is very good, the food is exquisite, the ambiance is amazing and the cocktails are just wow "Recommend the Maltese Spritz". Highly Recommend the Restaurant. "5 stars"